'Troianne Shelden is your everyday, intelligent student. With a love for history and stunning figure, she's a catch for any guy. But after a night of passion with a handsome stranger, introduced to her by their mutual friends, she finds herself pregnant with nowhere to turn for advice. Her parents passed away long ago and, soon after Troianne finds out she's pregnant, her grandmother passes, too. Left with a large inheritance, she looks forward to life with her new baby. The next thing she knows, she's hearing carriage wheels and voice shouting for help. Lightning illuminates the inside of what was, only moments before, the back of a taxi cab. When the door opens, she's greeted by a handsome man dressed like he stepped out of the past. Although this is a time travel romance where the modern day heroine goes back in time to 19th century England, (my favourite kind of time travel romance) there are lots of other genres in the mix which some readers might not expect or enjoy as it isn't obvious from the book blurb. I would label this as a paranormal/historical/time travel romance where you can expect to meet all kinds of magical and otherworldly enemies and allies. The plot is quick paced, romantic and filled with action. The story grabs you pretty quickly and you can't help but sympathise with Troianne in her situation and root for her and Duncan in their blossoming romance. The writing needs a bit of polish but don't let that put you off reading this series. I really enjoyed it. 'Being one of the most powerful sorceresses in the world is a challenge for sixteen year old Diana. Still haunted by the evil forces who kidnapped her in infancy, she is taught to fight those who want to steal from her everything she loves. One night during what was supposed to be a teenagers rebellious night out, she encounters a sight that rocks her to her knees. Diana runs away angry, veering off the normal path, a small accident leaves her unconscious. When she wakes she finds herself in a strange new place. Everyone seems to be joyful and content in this place called Shae’lan. What awaits Diana in this happy place will not only leave her wanting more, it will also have her questioning her life’s decisions. 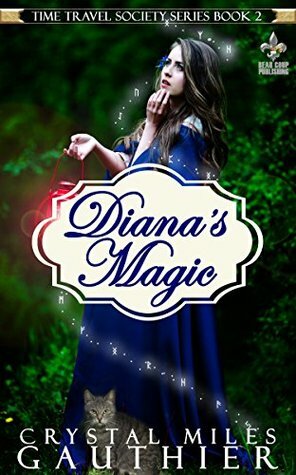 'Diana's Magic,' opens sixteen years after Troianne's adventure in book 1 and the story continues with her daughter Diana. Being a powerful sorceress with the potential to defeat evil demons presents Diana with many challenges to overcome. She needs to be trained in how to control her powers, deal with teenage angst and fight to survive when she comes face to face with evil. 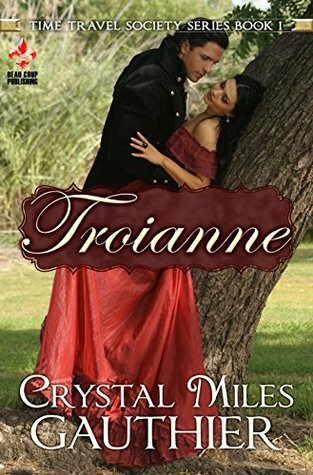 This second in the series didn't disappoint and I was glad I continued after 'Troianne.' The story has an interesting premise with lots of great secondary characters. I loved the abilities that some of the characters have and I'm interested in hearing more about Diana's cousins and what their role will be. Happily, the writing in 'Diana' is more polished, the story line is well paced and nicely constructed. I also have a good idea of the direction the story will go from here. I cannot tell you how much I keep reading these over and over. Appreciation is too small a word.